something you've made on my facebook page I get the biggest smile.. when you tell me stories of how you made something and it's become a little one's favorite thing in the world and they can't sleep without it.. oh my goodness, that just fills my heart up! Or how proud you are that you just made something! That's the best right?! Or how you've made gifts for co-workers and friends and how they treasure their gifts made by you. My children have brought their amigurumi to school for Show and Tell, proudly telling others that mommy made this! They've slept with them and brought them on school trips and on sleep overs to keep them company and remind them of home. 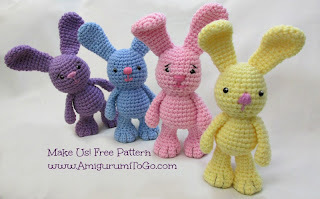 Now you know why I love amigurumi, feel free to leave a comment below and tell me why you love amigurumi too. Enjoy the photos on the way down to the comment section :) Also look for the link list of my Little Bigfoot collection at the bottom of this page. They can be full of mischief too! and they can say, "I Love You" without saying a word! This is my Little Bigfoot collection so far. 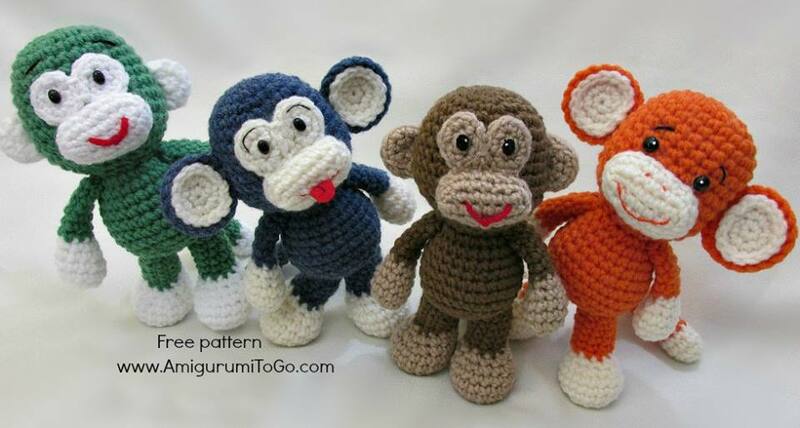 You can make each one that's pictured here even if you are just beginning in this wonderful world of amigurumi. I have provided full video tutorials for each one that will walk you through each stitch of every row! There's more Little Bigfoots coming, so check back often. 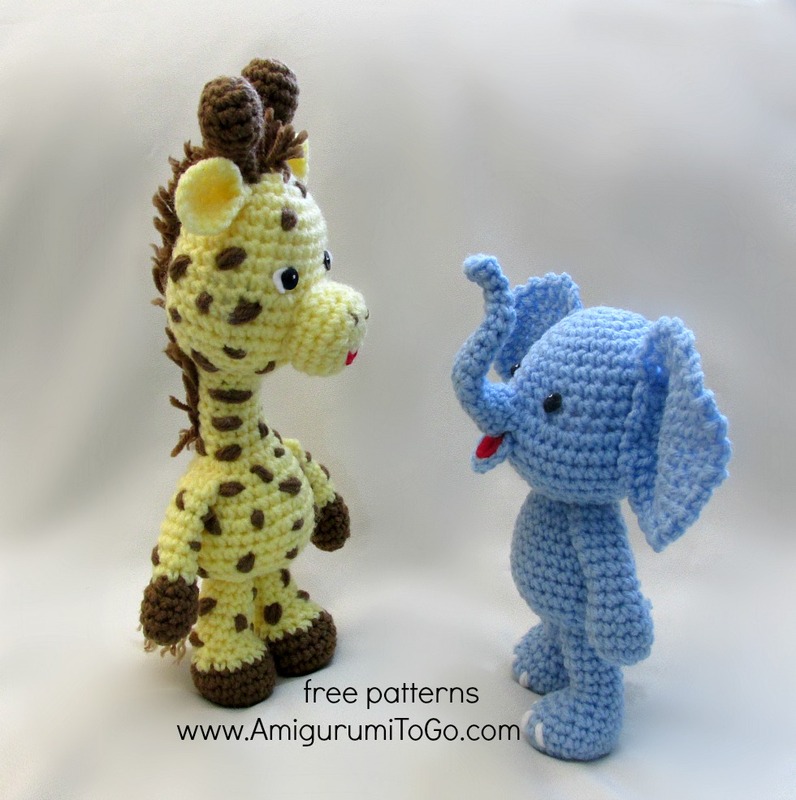 Also look to the right of this page for the label list of more free patterns. I share you love and passion the same way. For many is hard to understand that in this free pattern sharing I find the such a joy that fills my heart with so much happiness that no words can describe. Seeing toys or dolls done by other hands, following my patterns sometimes bring tears in my eyes, tears of joy. I love that feeling. I love to share. Think this way I make this life little bit better place for all. I am sure you feel the same. We all need more love, more care, more share, what we do is tiny contribution but at least we try to make this life better place for all. Sharon, I have no words to thank you for all your hard work, for all your love and share you do for amigurumi fans all over the world. one big thank you from me! Mi abuela me enseñó a tejer crochet cuando tenia 9 años. He aprendido a tejer amigurumis gracias a todas vosotras y a vuestros tutoriales. Me encanta regalar estos muñecos a los niños pequeños porque se acuestan con ellos. Mi hija tiene muchos de estos muñecos. My grandmother taught me to crochet when I was 9 years old. I learned to knit amigurumi thanks to all of you and your tutorials. I love these dolls give young children because they sleep with them. My daughter has many of these dolls. have made some of your Little Big Foot patterns. They are easy to follow and so cute. Thanks for sharing so generously. Sharon, this page is wicked and dangerous ;-) The dust remains on the furniture, no ironing is done, etc., just because the housewife gets more and more ideas for amigurumi. To be honest: My children are grown up, my husband also knows how to cook a meal. Thanks a lot for sharing your patterns. I came across amigurumi about half a year ago, and allthough I have no children around me, I really got addictet for the same reasons you mentioned above. Even adults like the little good luck charms I bring. My other amigurumi (https://www.facebook.com/andrea.herter.5/media_set?set=a.10204069997732904.1073741827.1313350829&type=3) will soon be joined by the mice from your pattern. Needed a monkey pattern for a friend, found your site and am in the processing of whipping up a little guy for her. I gotta say, I completely understand what you mean. I don't design, but so many friends offer to pay me to make things and don't understand that I really just love the act of crocheting amigurumi dolls and giving them to those that love them. It makes my heart smile to see their joy. Both my kids love my creations and delight in finding me new patterns to work on for them. So I get it, and cannot wait to make so many of your designs! It´s so incredibly generous to give your patterns away! Thank you SO MUCH! I love all your work and your YT videos are so easy to listen to and follow along with. I am going to start with your monkey as my first project and then will probably try a bunny. Who am I kidding...I know I will be doing them all in just a matter of time. I will try to post my completed project on your FB page when done so you can see. This page is definitely bookmarked and favorited and i look forward to following your adventures. You are a bright shiny light in a darkened world. Thanks so much! I want to thank you for sharing your talent. I'm hooked and can't stop crocheting these cute little animals. I have quite a few clients who are expecting babies and they'll each be getting one of the many creations I've made with your help. Thank you for your time. You are awesome. sharon obrigada por seus padrões lindos e suas explicações, adoro sua voz e a forma como voce fala, um beijo em seu coração, linda! 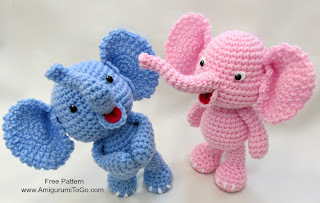 Why I love Amigurumi.....I love it because I get a joy out of seeing people's faces when they look at them. I have made several of them and given them as gifts for baby showers, just because, good job, ect. My niece loves the rabbit that I made her and the little bear that I made her. 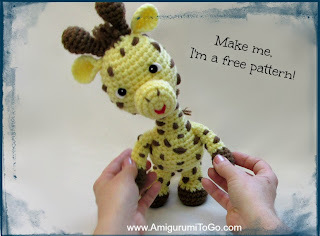 I am currently working on the cute giraffe and I just bought the yarn to do the lion. I already know who will get each of these (but I always keep the first one). My collection is growing and soon others will have a collection like mine. Thank you so much for your wonderful teaching and your videos; they have been my lifeline sometimes. I am a beginner and am SO thankful I stumbled upon your YouTube videos! Your patterns are so easy to follow and I love that I can pop over to YouTube if I am lost or can't figure out a stitch. Thank you for loving amigurumi and sharing your love with all of us! Could you make a revised version of the hippo and/or turtle? These are my 2 favourite animals and I'd love to make a larger version of them!